The Google doodle today is celebrating his birthday, so why are you holding back? On his 246th birth anniversary, follow this trail to know a little more about the Father of Indian Rennaisance, Raja Rammohun Roy. The colonial building at 85A, Amherst Street was once called the ‘Simla House’ and was the residence of the family of Raja Rammohun Roy. 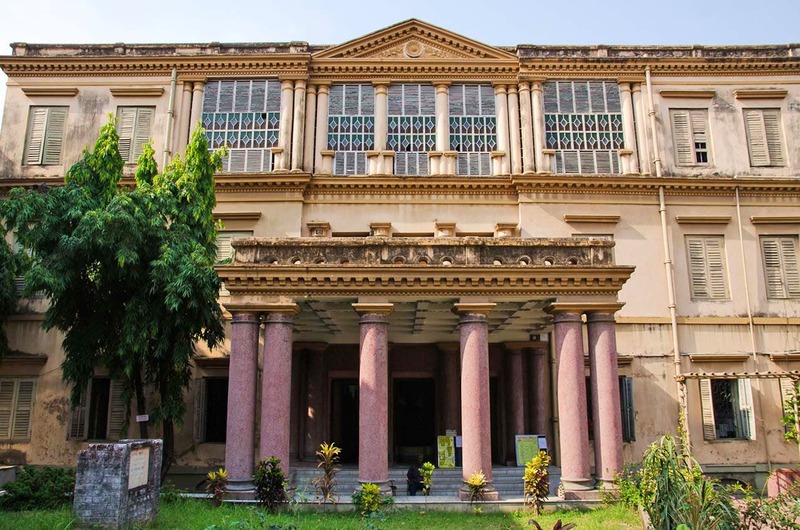 Now restored by the Rammohun College, the house has been turned into a museum which is worth a definite visit. From books written by Rammohun to his memorabilia, photos and even a replica of his death mask that was originally brought by Shivnath Sastri from Bristol—you’ll find all of these and much more insight on Raja Rammohun Roy in his home, itself. It is no unknown fact that the Brahmo Samaj was established by Raja Rammohun Roy, the great social reformer who helped abolish sati in India. A man given to philosophy, theology and history, to know his ideologies hi better you have to head to the Sadharan Brahmo Samaj Library which has rare books and journals stocked up in its shelves. Though you can’t borrow books, you can definitely sit and read several one of them. A Government of India Ministry of Culture Initiative, the Rammohun Roy Library Foundation was set up on the birth anniversary of Raja Rammohun Roy and is responsible for giving grants to libraries across India. You can visit the library here that includes several of his books and journals for public reading. Sadharan Brahmo Samaj town hall stands in Bidhan Sarani today. Visit this place to know more about the ideals and the growth of the religious movement that Raja Rammohun started with Maharshi Devendranath Tagore. This too houses a library that is open for all to visit and read books.